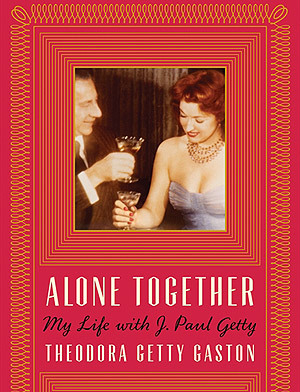 Teddy Getty, the fifth (and longest-lasting) wife of oil tycoon and art collector J. Paul Getty, reflects on a whirlwind romance, a one-sided relationship, and the untimely death of a son in her new memoir Alone Together: My Life With J. Paul Getty (out September 3rd). Teddy, who turns 100 this month, talks with us about first meeting “Paul from California,” handling their son’s terminal illness while Paul was abroad, and the life lessons she’s learned along the way. Tell us about your first encounter with the man who became America’s first billionaire. I met Paul one evening in 1935 while singing at an elegant nightclub in New York. 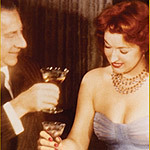 When the performance was over, I joined my brother and my best friend, Betzi Beaton, at their table. Paul was a guest of Betzi’s, and she introduced me to him saying, “This is Paul, my friend from California.” I turned to greet a man who, as he pulled out my chair, said, “Teddy, what a beautiful voice you have! ‘Alone Together’ is one of my favorites.” “Thanks, mine too.” I replied. Then the orchestra started playing, and Paul took me in his arms, and we were dancing. The dance ended too soon, and when we were back at the table, Paul said, “You’re beautiful, and your voice is, too. I love the quality of it. You should study opera. You’d be a great Carmen or Tosca.” At these words, I trembled. Although he had no way of knowing it, it was my ambition to one day sing in concerts and opera. After only knowing me for a few moments, he had touched on the thing that was closest to my heart. I noticed his hands were very masculine, but they were also artistic and expressive. I wondered if he was a conductor or a composer, so I asked him what he did. “He’s in oil,” Betzi said. “Oil? What show is that?” I asked. Everyone started laughing. “Of course!” I said. I felt like a fool. Your memoir, Alone Together, touches on the glamorous aspects of your relationship with Paul, but you also faced some very dark moments—your late son Timmy’s cancer diagnosis not the least of these—alone. How did you handle being the wife of a powerful man who was absent much of the time? It was very difficult when Paul was gone, but I knew that it had been his dream since he was 19 to make a deal with the King of Saudi Arabia for oil rights. He was 40 years old when we met and very close to making that deal, so he needed to be in Europe and Saudi Arabia for obvious reasons. And I understood. Paul was already in Europe when Timmy became ill. He told me which doctors to go to, and he paid for everything. He said he would come back for Timmy’s first operation, but he didn’t come. I went through two operations in two years, and Paul did not come back. By then, he had made his deal with Saudi Arabia, and he was extremely busy. It was very hard to tell Timmy that his daddy wasn’t coming home, but we lived through it, and naturally Timmy spoke to his dad on the phone. Finally, Paul did come back, and he bought a ranch. Timmy, myself, and Paul spent time there together, and it was wonderful. But eventually he had to leave for Europe again, and he was not with us when Timmy died. Was the process of writing this memoir painful? Cathartic? Both? Writing the memoir was more painful than cathartic, but it was good to get my story out. If I was writing about something Paul did that hurt me, it gave me a chance to analyze his actions and try to understand him. I began to understand that he was extremely busy and his work was very important. I now see that I needed a husband and a man beside me. Before that I was young and thought I could be like him – alone and working – but I wasn’t like him in that way. 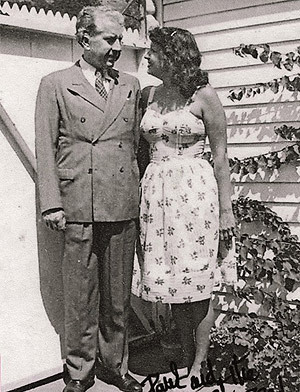 What is the happiest memory you have of your marriage to J. Paul Getty? The saddest? The happiest period in my marriage was when I lived with Paul and Timmy at the beach house. Paul seemed happy then, too. The saddest moment with Paul—there were too many. The worst was when Timmy was really ill at the end of his life. His death was sudden, and Paul was not there. I remember a day shortly after Timmy’s first operation. They had removed most of his tumor, and his surgeon, who had also operated on John F. Kennedy, asked if Timmy would be willing to go out and show his head to a medical viewing hall full of doctors. I went to a shop in New York and bought an astronaut suit for him to wear, and I asked him if he wanted to go out and show everyone how great he looked. He said yes, and when he came out into the hall, one of his favorite doctors, a black woman named Dr. White, was standing nearby. “Hello, bright eyes,” Timmy said, taking off his astronaut helmet. He took the hat off not because anybody told him to, but because he was saluting a lady. All of the doctors were shocked, and he went around greeting all of them. Then he put his astronaut helmet back on, and everyone in the room cheered for him. Tears ran out of my eyes. That was one of the saddest moments. The end of his life was horrifying. You’re turning 100 this September. What are some of the greatest life lessons you’ve learned along the way? How did your marriage to J. Paul Getty shape or color those lessons? Paul influenced me a great deal. I watched him and saw what being successful requires. He was born into money, but he used it well. He studied and took trips and made sure he learned a great deal. He didn’t frivol his life away as a kid. I learned that, but I don’t think I applied it immediately. Nobody worked like Paul. He worked when he didn’t have to, and he read when he didn’t have to. I cannot tell you how important it is to read! Another life lesson, which I always followed, even in my youth, was to never depend on somebody else to take care of you. I thought I might learn from Paul how to handle situations so that I could take care of myself. I would always ask him questions about how to do certain things, and he would very happily tell me what he’d do. And finally, you always have to have a sense of humor! Gaston will be appearing alongside Digby Diehl at Barnes & Noble in Santa Monica on September 15th, 2013, to discuss her new memoir.